Offering an intimate and exquisite oceanview experience, this one bedroom, two bath top-floor penthouse is deemed a rare find. Featuring a king master bedroom and a brand new sleeper sofa, it can comfortably accommodate 4 people. This luxurious penthouse includes an award-winning kitchen equipped with Wolf glass cook top and oven, Sub-zero refrigerator, GE profile microwave & Fisher Paykel dual dishwasher drawers. D402 is also fitted with granite counter tops, African Mahogany cabinets, two full bathrooms with Peruvian Travertine stone, soaking tubs and lavish showers. Enjoy the clean design and convenient location, with the beach and boundless Kauai adventures just beyond your private lanai. Very nice unit, clean and updated. The only thing I would change would be the mattress, it was pretty hard. This was an excellent property. Only down side was you could not swim in the ocean at this location. The unit is very nice. The bed is comfortable, the kitchen is well equipped. The management company is great. They respond quickly to any questions, requests or problems. Perfect stay -could not be better !! Perfect all around stay. Condo was a five star place as it was clean and fully stocked with all the home essentials you would need . The rental agency was the best I have ever seen as they constantly checked in on you to see if you needed anything from concierge services to any other assistance . This condo could not have been more perfect! My husband and I stayed here for a 2 full weeks and this unit served our every need. Kitchen is excellent: top of the line appliances, well stocked with all the essentials...and 3 great grocery stores across the street. Bathroom and soaking tub are lovely. Bed is comfy, mattress on the firm side. The ocean view from this unit is great! We saw many a lovely sunrise and moonrise during our stay. Highly recommend this unit. Well worth it. D402 is a nice unit overlooking the lazy river, pool, and ocean. The owner does not provide beach chairs or cooler for those that spend time visiting the beaches. We had to buy and leave with a friend. This was a wonderful resort and our unit had two balconieswith excellent view of the pool and ocean. The property was well maintained and beautiful. The kitchen and bathroom was well stocked and very clean. The pool area was excellent. My 10 year old loved the waterfalls and slides. The only annoyance was the wrist band process to check out towels for the pool. Everything else was very nice and we highly recommend staying at Waipoli Beach Resort. We stayed here after a week long cruise around the islands. It is located in a perfect area. You can easily walk or ride bikes. Any questions we had were answered quickly. Beautiful condo, pool, area! Great place to stay, very clean, comfy bed, great pool, close to shopping and restaurants. Our only complaint was the sofa was uncomfortable being a sofa bed when you sat down you could feel the bars. Other than that perfect and gorgeous views. Staff was amazing and friendly, we would definitely stay here again. The room and amenities was great - however the manager on site was not only unwilling to be helpful to our group with regards to using the BBQ (we have a large group +20 ppl) but even worse was extremely rude including explicit language used to tell us where to go.........if we were not such a happy bunch this could have really ruined our stay considering a main feature of the resort was to get together and cook and eat as a group. That said the rest of the staff on site were very nice and helpful. Actual resort is so clean and beautiful. Very pleased with our "short" vacation to Kauai. Beautiful centrally located condo with all the amenities. Condo has a beautiful view, up to date and clean. Onsite restaurant "Oasis" is fantastic and surrounding grounds are well kept. Unfortunately we did not spend much time at the Resort as there were many things to see and do on Kauai. We loved our room. We loved the pool. 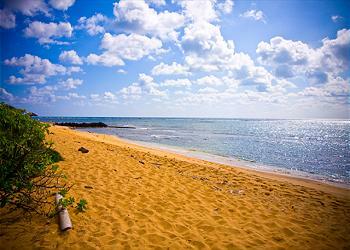 Beach is not so great at the resort, but there are lots of great beaches on the island. Wish they had pool side cocktail service, but the Oasis restaurant & Bar were nice. We will definitely go again and request the same room!!! My husband and I had an absolute amazing stay here! Kauai Exclusive made the entire experience better than we could have planned for ourselves. The suite was very clean and it felt like we were at home. The resort is located in the perfect place. You're centrally located on the island between the North and South sides. We will most definitely return! My husband and I spend two amazing weeks at the resort. The amenities were first class, pool, views, workout equipment and access to the entire island were wonderful. This is the second time that we have stayed at Waipouli in Kapaa and I would highly recommend this property. This unit has spectacular views of the ocean, and pool. Sean at Kauai Exclusive Management was great to work with while we were planning our 35th anniversary celebration. We kayaked, hiked, snorkeled, stand up paddle boarded and spent hours walking the beautiful beaches. We traveled the entire island, and love to spend time in Poipu shopping and relaxing. This was a magical trip and we are looking forward to returning. We absolutely loved the spacious condo, the beautifully manicured grounds, but most of all we loved the pools and easy beach access! Waipouli Beach Resort provided everything needed for a stress free vacation, from a nice pool and view, to a comfortable condo with all the amenities. The condo was spotless, gorgeous and couldn't have been more perfect. I am so glad we stayed here and can't wait to come back. We were very pleased with this unit as well as the property. Information for check-in provided by the rental manager was clear and comprehensive. The generous sized unit was nicely appointed and in great condition. It's location on the property allows guests to enjoy views of the lovely landscaped grounds/pool/lazy river/water slides and waterfalls as well as the ocean. Kapaa is a central location to explore the island. We wouldn't hesitate to recommend this property to others. Wonderful view, great location (close to a lot of shops, restaurants and a grocery store), great resort. We had a great time. We did the NaPali Coast raft tour, it was beautiful and would highly recommend it. We saw a lot of dolphins, turtles and the view of the coast is just incredible!! Great location! Great Property! Great Spa! The location was perfect to get north/south - less touristy than Popui; walk/bike path is perfect for daily walks any time of the day/night; mgmt company was responsive and helpful; Best is the on-site spa. Both my husband & I and loved it! Greg goes above and beyond - Dakota & Michelle are the best. Thanks for a great, memorable vacation. Beautiful room w/view. Kitchen fit for a chef. Will be back with kids next time! Located right across from a shopping center. Easy access to South and North sides of island. We Were So Pleased We Stayed Here! View from D402 was lovely. We loved sleeping with the doors open at night. Perfect suite for one couple. Two bathrooms but only one shower. Shower located in a tiny bathroom space connected to main bathroom with doors in between. For one couple not a problem. Kitchen beautifully appointed. Living space comfortable. We passed resort the first time. Signage for the Resort is small and easily missed. Oasis convenient - we liked the outside dining - food excellent. Beef Shed right next to this resort very popular with locals. Steaks and seafood great. Only negative, we felt the carpet in the elevators needed to be replaced. But this no way affected our stay. Everything else was spotless. Pool area well maintained. Staff generous with the pool towels. Wifi great. Great condo, great location. Couldn't ask for a better vacation. Great location with grocery store and coffe shop directly across the street. Laid back but still a great variety of activities readily available. Waipouli Beach Resort D402 was a great place to stay. My wife and I have stayed in many condos in many different areas and I would rate this condo as the best we have stayed in. Just as advertised. Well furnished, well stocked unit; terrific views and very helpful people around the complex. Everything was very nice and clean. We had a great time. Nice location. We will be back! Easy check in, very clean, loved our family stay there. As a plumber I noticed 1 thing, the cold side handle in master bath left side sink is leaking when turn on handle. just to let you know. My husband and I stayed in D402 and absolutely loved it. Very clean and had a gorgeous view of pool area & ocean. The other part that I wanted to give kudos to the management is for allowing us to stay a little later on our last day due to our flight being later in the afternoon. Very accommodating. I would highly recommend D402 and if had opportunity to go back to Kauai, would stay again. Another item of mention was convenience to grocery store & coffee shops! Thanks D402 for a fantastic time!! Very happy with the unit. 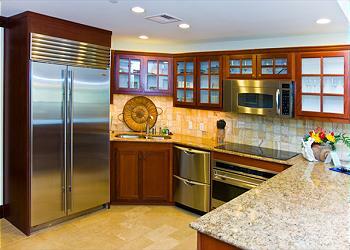 High quality furnishing and appliances. Could have used a little more instruction in using some of the appliances, but we figured them out. We have stayed at numerous high end hotel / resorts on Kauai over the past few years and this property by far stands out as one of our best experiences so far. The rooms are neat and very clean (noted we tend to be picky when it comes to cleanliness). Every staff interaction at KEM was positive. 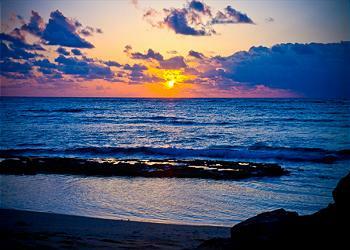 If you are planning a trip to Kauai, don't miss the little gem. This was our 50th wedding anniversary and is why we made it an extended stay. We made the right decision for a property. The condo we stayed in D402 was situated so the sun never came directly into the unit and we faced east to get full advantage of the trade winds. Having the shopping center directly across the street was another plus. We did a lot of sightseeing and activities. This is our favorite island, but this was our longest stay in the many times here. Very nice condo with a great view of the pool and ocean. Very nice kitchen, 2 balconies (one off the bedroom, one off the living room), huge bathroom with separate shower and tub. Very nice pool area, beachfront restaurant. 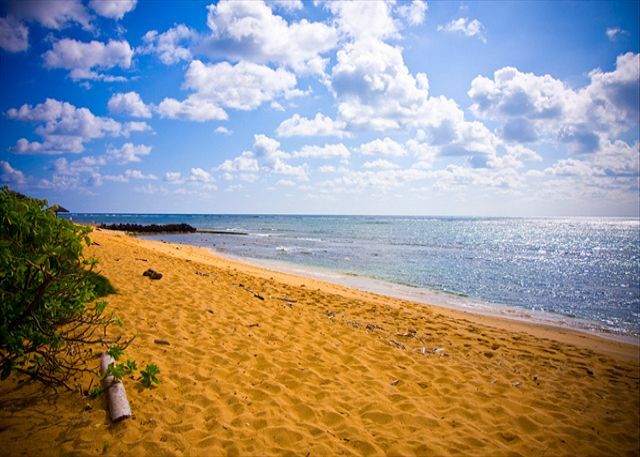 Great central location, easy drive to all areas of the island. We have stayed at the Waipouli Resorts many times and at several different places. Every place we have stayed has been great!! We loved staying at Waipouli resort for a week vacation in Kauai. Having never been to Kauai, we were not sure where the best place to stay was, but I can tell you we made a great choice! The location of this resort is very convenient with restaurants, grocery, liquor and even Starbucks in easy walking distance. Plus this location makes it easy to drive anywhere on the island- and we drove all over the island. The condo is beautiful and so are the grounds. After seeing Kauai, I would venture to say this is one of the nicest resorts. The food in the Oasis restaurant is very good and reasonably priced by Kauai standards and has a breathtaking ocean front view. Our only complaints are that the electric cooktop does not work very well and the A/C in the bedroom did not work as well as we would have liked. I would definitely recommend staying here. Everything was as described to us and seen in pictures/other reviews. Room was large and clean. Good view of the pool and ocean. Kitchen was awesome and had all utensils, cups, plates, etc. that we needed. I'd definitely return here for another stay! 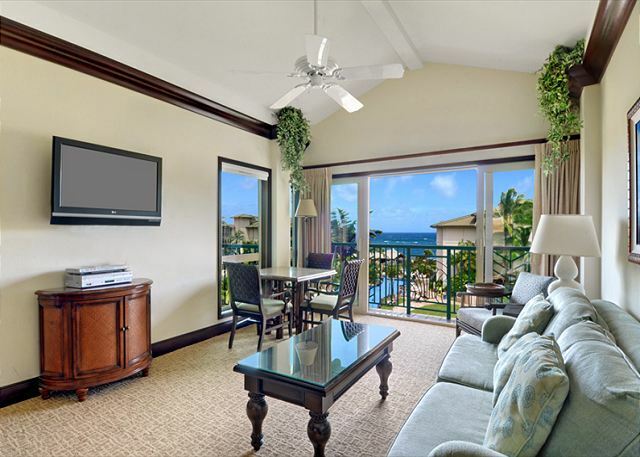 This was our first trip to Hawaii, specifically Kauai and this condo did not disappoint. The complex itself is well maintained and beautiful. The pool outstanding. Location wise this was perfect! Safeway directly across the street, quick drives to everywhere on the island and great sunrises. The condo unit itself was better than the pictures. Very clean, high end appliances, great layout and view was perfect for the morning sunrise. Portable cooler to use was a very nice to have. Washer/Dryer were full sized and just like ours from home. Quite, comfortable bed and furniture. Highly recommend this unit. Management team was easy to work with and very responsive. The location was perfect; close to the airport and across the street from safeway, starbucks, and McDonalds with great shopping just up the road. The room was well maintained and had everything we needed. We had no issues with the pool area that I have seen mentioned by others. The restaurant at the resort has a very limited menu and is a bit pricey compared to others we went to. We would definitely stay here again. We had a great time. A few little suggestions are need ceiling fan in bedroom, bbqs were not all working, need a cage over fire sprinkler in bedroom closet, the seal in the master shower leaks on the floor. I wish the pool was lit better at night and some sort of entertainment nightly in the bar. Otherwise, The condo was beautiful and well maintained and we really find enjoy our visit. The condo was very clean and large for a one bedroom. The pool was awesome and the gym was nice. Not very big but hardly ever packed. Management was very friendly and professional. All around great place to stay. We stayed in three different units and loved each one of them. Everything was great - we loved Waipouli and had a very laid back relaxing vacation. The blue info sheets in the units were not current re internet access. And an explanation of the TV workings would be helpful as well as a TV guide. Other than that everything was great, very organized from start to finish. We had a wonderful time. The complex is conveniently located in the middle of the Island so it makes it an easy drive to North or South locations. The condo had all the amenities we could want. One little thing we noticed was the couch was starting to show wear and tear. Other than that we enjoyed our time here. 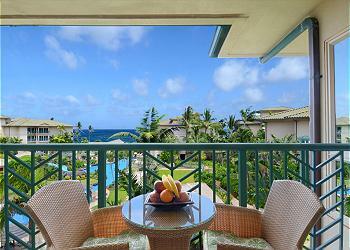 The staff from Kauai exclusive was very helpful and responded quickly both prior to our stay and during. The rental was beautiful and had fully stocked with everything we needed and more! Beautiful unit, great views and location...absolutely loved it. We certainly lucked out when we selected not only D402 but Waipouli Resort. It is in a terrific location near shops, restaurants and midway to the south of Kauai, so driving all around is a breeze. The resort environment is clean, comfortable and quiet. Oasis restaurant is a must for anyone staying at the resort. Don't miss this place. We were extremely pleased with this one bedroomed property. It had everything you could possibly need for your stay. We only had to buy food and some drinks. Excellent condition. The property management guys called to ensure there were no problems or if we needed anything. Only issue was we were told our code would still work for the pool but it didn't. However a security guard was kind enough to let us into the pool for our last few hours. The Mai Tais at the Oasis were the best we had on our 3 island trip and the food was good too! Highly recommended - we would stay here again in a heartbeat! This place is simply great! I Unitially wanted to stay at a hotel but the more I looked into this place, the more I was convinced this would be where I would my vacation time. I first spoke to a represantative whom helped me find the perfect place for my family of 4 (2adults,2 children). The represantative was helpful and very quick to look for a good deal. Our room was great! Part oceans/pool views. The room it self was kept up very well, beds were comfortable. The pool and fitness center was also very cool. I will definately he returning and recommending this place to family and friends! Easiest check in process ever. The resort and staff are inviting and very friendly. The grounds were magnificent and I would recommend this resort to friends and family. Joshua Rudinoff is the BEST!!! My husband and I had never been to Hawaii and chose this spot to celebrate our anniversary. The resort was spectacular! Beautiful grounds and pool and conveniently located directly across from a small shopping center and grocery store. We found this location on the east side of the island a perfect midway point for daily travels either north or south and were able to explore much of the island in only 4 full days. Our room was clean, quiet, and beautifully maintained. We did not bring our kids, but they would have LOVED it. Note - the beach at this resort is NOT swimmable, but the pool makes up for it. 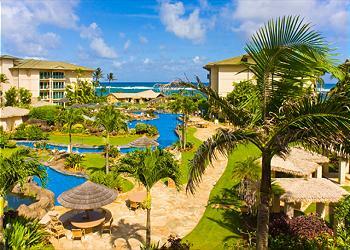 awesome resort, great for kids, Kauai Exclusive very professional and on it. We had a great stay and loved the location of this particular unit. The rental company was very helpful and always quick to respond to questions or emails, which we greatly appreciated. Everything was in great condition, and we were also happy to see that this unit actually had some spices in the cabinet and some sand toys for the kids. We have stayed at Waipouli before when none of these conveniences were available. My only suggestion for D402 is that the dishes and silverware seem to be getting down in count and supply may need to be replenished. Also, with all of the children that come through Waipouli, perhaps it would be nice to provide some more plastic cups or dishes. Just a suggestion. Thanks for the nice stay! Ocean view, sunrise and moonrise, steps to the sand, walking path... close to grocery stores, friendly staff, what more can I say? Great location with easy access to shopping and restaurants. Beautiful view of sunrises every morning. Very quiet at night. We enjoyed our stay and would highly recommend this property. The condo was great, very confortable and spacious, well located, quite and very convenient. We loved it! Really! As this was our first trip to Kauai, we weren't sure where to stay. 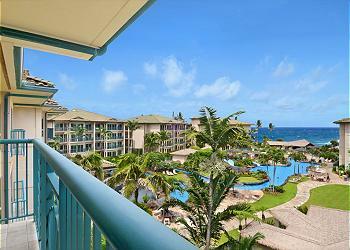 We picked Kapa'a for its central location and then found D402 at Waipouli Beach Resort. Staying in Kapa'a was a good choice - it is a reasonable distance/time to any activity and Kapa'a has great amenities. We stayed 10 nights at this resort. The condo was very nice. It was quiet, had a great view, and had everything we needed. With the trade winds, we only used the air con briefly for one afternoon. It is great having the two bathrooms. Being poolside with the ocean view is definitely nicer than being on the road side, although there can be a fair bit of daytime/evening noise from the pool - but it is 'happy noise'! The sofa bed needs to be replaced - mattress is pretty bad and couch cushions are showing age, but management is now aware of this and were very helpful in bringing in an extra foam mattress cover on our first day, which helped for sure. We plan to return to Kauai and would definitely stay in this unit again. We were so impressed with the Waipouli Beach Resort. It is centrally located on the island in the town of Kapa'a which offers great restaurants, natural food stores, farmers markets etc. The Waipouli resort is right on the beach, has a fun pool area with water slides, multiple hot tubs, bbqs, a fantastic restaurant called the Oasis, with an excellent server named Henry. And the best Mai Tai in the world--it is all made from scratch, no syrups, canned juices, fake ingredients etc. You can't go wrong here!! The kitchen inside the condo is gorgeous and the whole place was first class comfort. The only small gripe I have is the shower head was the wrong type for the shower stall. It was too wide of a spray and sort of spitty causing the water to go everywhere except on your body. This is a simple fix of changing the shower head and does not effect our overall very positive experience. We took baths instead of showers in the huge jacuzzi tub and it was divine. We could have called management about the shower head and I have no doubt they would have fixed it right away, but we were too busy exploring and having a great time to be bothered with this. We stayed in one of the private condos at Waipouli and still had access to all the spa, conceriege, pool, restaurant, beach, parking etc services that the resort offers. Josh, the manager who booked our private condo at the Waipouli was very nice, professional, informative and got us a great deal! A private condo is the way to go because you have a full kitchen, bath, laundry in the condo and still have access to resort amenities. We will be back and will stay at the Waipouli Beach Resort! Truly the BEST vacation I've ever had. Sooo relaxing and the condo is gorgeous. Everything you need right at your fingertips. Magnificent pool and ocean views (loved the pool at night, lit with tiki torches!). Company staff were wonderfully helpful. Telling all our friends. We can't wait to come back. We were blorwn away by the layout, design and amenities offered in this 1 bd/2 ba unit -- a luxlurious, yet comfortable vakay experience.The layout, appliances, and amenities found in this kitchen were so fabulous, our local chef friend cooked us a gourmet dinner for our 25th anniversary in this kitchen! The bedroom was very comfortable with extra nice bedding & towels in the bath areas. The huge double sink and vanity area was perfect with lots of storage drawers and a large garden tub in the corner. The shower and second bath area are adjacent to the master bath with a door to close the two off. Nice concept. A balcony off the bedroom could have been a bit bigger, but we enjoyed having drinks and enjoying the morning sunrises there. The furnishings were very tastefully done, laid out nicely, and super comfortable. We had plenty of space in the entryway for golf clubs.. We only had 4 nights in this unit, as we agreed to move halfway thru our stay to another unit in Bldg. G. The Penthouse we moved to didn't compare in quality to this lovely unit (see review for G301). The Management Co. smoothly handled everything for us. 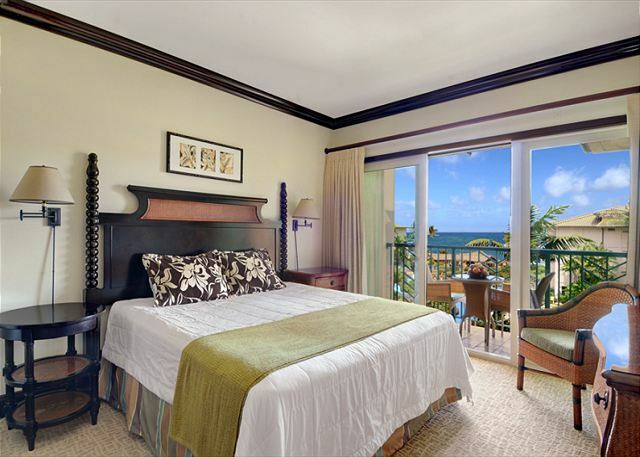 This unit directly overlooks the meandering pool area and the ocean view beyond! Our days here were relaxing & peaceful. But I wouldn't say that this property would appeal to the 55+ group, as there were mostly young famlies with babies, tweens, and teens who got a bit loud at times. But we certainly enjoyed this unit to the fullest! The keyless entries take a bit of getting used to, especially getting in and out of the pool area. We needed nothing more in this lovely lunit! Upon reserving this property Josh was great at taking care of our needs. Condo is beautiful! The main downfall is no service at the pool. You also can't bring in pool coolers to the pool. The Bar-B-que's need some work but were nice to have by the pool. Upon checking in though we were told just to go to our room. We didn't know where our room was.? Kapaa was a nice central location for seeing all the Island. Everything went perfect from the booking to our arrival. From the moment we walked into the Waipouli Beach Resort we were impressed. Once we opened the door to our condo D402 we were knocked out at how beautiful it was. The view of the pool and ocean was like a dream. It was immaculately clean, with comfortable high end furnishings. The location was perfect especially the shopping center directly across the street. We can't wait to return and rent this same condo again. Condo was beautiful as well as the resort. All the amentities you would need. Only complaint is a brighter light is needed for the shower and also if the shower head is adjusted in a normal position it leaks a ton through the bottom of the door onto the floor. You must point it towards the wall for this not to happen. Otherwise condo was perfect. Outstanding, the total week was unbelivable at the resort. The accomodations were the best we've ever encounter on any of our vacations. The location was near shopping and outstanding restaurants. 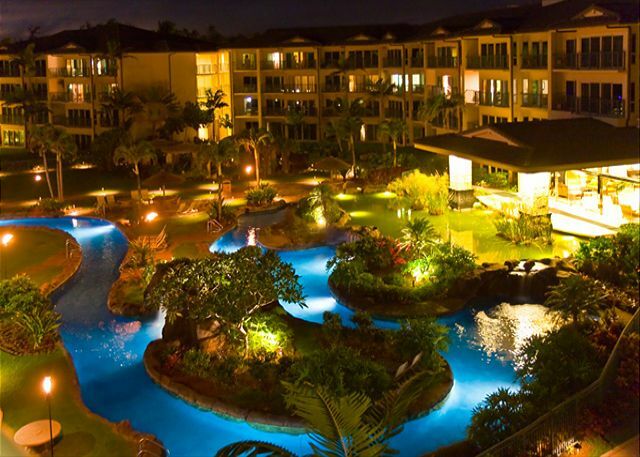 The property is great.lots of play area for kids.the only bad part is that it's the rainy side so I would stay here summer only and in winter time stay in poipu which was drier and warmer.the condos are beautifull.safeway is right across from the property. people are very nice. East Kauai is not the rainy side. North Kauai is rainy and east Kauai is generally very sunny. This group was unlucky as this storm had it raining in Poipu also. I hope they try Kauai again! Beautiful room, location, and and restaurant at Waipouli. We would definitely come back for vacation. This was the perfect honeymoon destination. It's always a wonderful experience at Wiapouli Beach Resort and the properties are very well maintained,spotless and well managed. The resort was terrific, our only complaint was the "no coolers in pool area" rule. This would be fine if they had a poolside bar to serve drinks and snacks but they don't. There is a poolside restaurant but it doesn't open till 4. The location is great because it's a short drive to anywhere on the island. You can drive either north or south within about 45 mins. The only thing about being on the east side is that it didn't seem to be as sunny as the rest of the island, it was cloudy almost every day. This could be because of the time of year we came, early October, or we just had bad luck for the week. Poipu on the south shore was sunny every day we went. But overall it was a terrific stay on a beautiful tropical island. Would definitely recommend staying here. the shower door in the unit i stayed in does not close very good there for water is all over the floor, also the shower head is very poor. really should adjust the shower door to stop future rot. codo renovation is what i do here on maui. This was our second visit to Kauai and the location was perfect to visiting other parts of the island, the perfect halfway point. The kitchen was well apppointed, decorations were nice, sofa and bed were comfortable. Nice balcony view of the pool and the ocean. We can't wait to come back with the kids because the pool was great, beach was ok for minimal swimming. Josh was so helpful and allowed us a few hours extra while we waited for our late departure which was greatly appreciated. We looked at many places to stay. We have a 17mo old and wanted a place where he would also have fun in a safe environment. There are many nice condos on the island, but this one seemed to be one of the few that had a kid friendly, fenced in pool/waterslide/lazy pool with koi fish feeding, a grassy area to run in, etc. The beach is accessible but it is not as sandy as we would have liked and the waves are too rough for babies. That being said, there are plenty of places to drive to in the north and south that have nice beaches. This place seemed to be the only location that was on a beach and was very accessible to 3 groceries (Foodland, Safeway, Big Save) and food (subway, pizza hut, taco bell, chinese restaurant, indian restaurant, and 2-3 italian restaurants) just across the street!. Also it was centrally located, easy access to the north and south parts of the island. The inside furnishings were nice and clean. The floor plan was good and although only 1 bedroom, there were 2 toilets which was useful. If you are looking for a secluded area for a romantic getaway (away from kids), then this place may not be the best. However, It is a great place for a family with kids. We LOVED this place and had such a great experience. The Paniola cocktail made at the restaurant right off the pool and hot tubs was great. We drank MANY of them while we were there. There is a great gluten free bakery next store that has yummy fresh muffins and baked goods in the morning. I can't eat gluten so it was a special treat. The accomodations are amazing with great appliances and classy furnishing. We've had bad experiences with "hawaiian condo decor" before the is dirty and old. This place was spotless and easy to keep clean even without maid service. A lot of places don't have air conditioning or hot tubs in hawaii and this place had both. My husband doesn't get much time off so when we go on vacation we like to stay nice places. I can't say enough nice things about the unit we stayed in, I'd recommend (and have) to anyone I know. We'd LOVE to go back! This unit has the most magnificent view you could want on this property... a full-on ocean view to see both sunrises and moonrises... and a long total view of the wonderful winding swimming pool. Sitting on the balcony mornings reading a good book with the ocean breeze and some fresh Kauai coffee - couldn't ask for a better experience. Condo is beautiful - nicely equipped so you don't have to spend all your time looking for places to eat! Safeway across the road is just fine and a quick walk if you just need a couple of things. My daughter loved the pool (5 years old) and could spend hours upon hours there. You need to rent a car for this island - there are many places to explore! We would hit a beach, drive back and finish the day in the pool. Or, take the trip to Waimea canyon and unwind before supper in the pool. Very clean and well-maintained. The unit we stayed in is managed by Kauai Exclusive Management and the rep Josh helped us out with any questions or concerns promptly. Last night we were there we went to the Oasis bar and restaurant on the property and watched the whales frolicking without binoculars. Truly a treat. Pretty much anywhere we went, if we waited a couple of minutes, we could see whales hanging out. Kilauea lighthouse, Hanalei town and bay, secret beach, Lydgate park if you have kiddies (or want to practice snorkeling), Waimea canyon, go to the walmart in Lihue to buy cheap beach toys and lifejackets, Smith family Luau - very close and really beautiful grounds and a nice show. We will be back - we may stay in a larger condo next time - D402 is 1 bedroom with a sofa bed in the living room, but will definitely go through Kauai Exclusive Management - they take care of 20 or so units - they took very good care of us! After being on Oahu for a couple of days, Kauai was a lovely quiet place - very laid back! We had an amazing stay at the Waipouli Beach Resort and Spa in Kapaa! The Resort was beautful and the view from our Penthouse was amazing every night. The pool was so much fun with all the waterfalls and slides! The suite had a huge well equipped kitchen with all the bells and whistles and proved to be a dream to cook in. 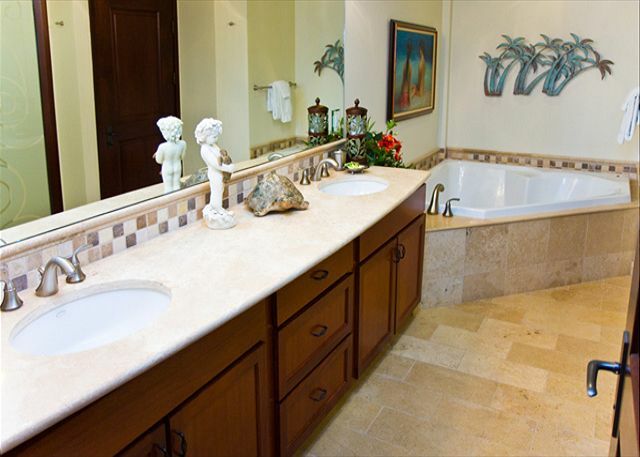 The bathrooms were fantastic and the master bath was like having your own jacuzzi in house. Having a washer/dryer in the suite was also a bonus! The TV's were awesome and having a DVD made things great for when we wanted to rent movies - and we are bolth huge movie watchers. The Resort and the grounds were always clean and always well kept. The staff were always friendly and helpful. We loved the pool girls the best - Ish and Sheila (I hope I got the names right)! The location of the Resort is just perfect... with SuperValu, Starbucks, Blockbusters, etc... across the road it made it easy the pick up groceries, etc... We will definately be back and I will highly recommend this 5 star resort to my friends and family! Many thanks to Josh (the Property Manager) for setting us up in this gem of a Property. I have to say it was the best Christmas & New Years Holiday we have ever had! Mahalo! Josh was very helpful for all of things which made our vacation greater than expected. Island was also nice so we would like to visit there again! Thank you for the accomodations, we were very happy with the complex and the service was great. My daughter could not get enough of the water slides. 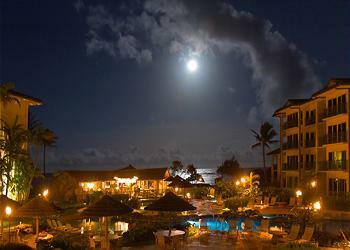 It is a beautiful place to stay in kauai. I will recommend it. Josh was a pleasure to work with.